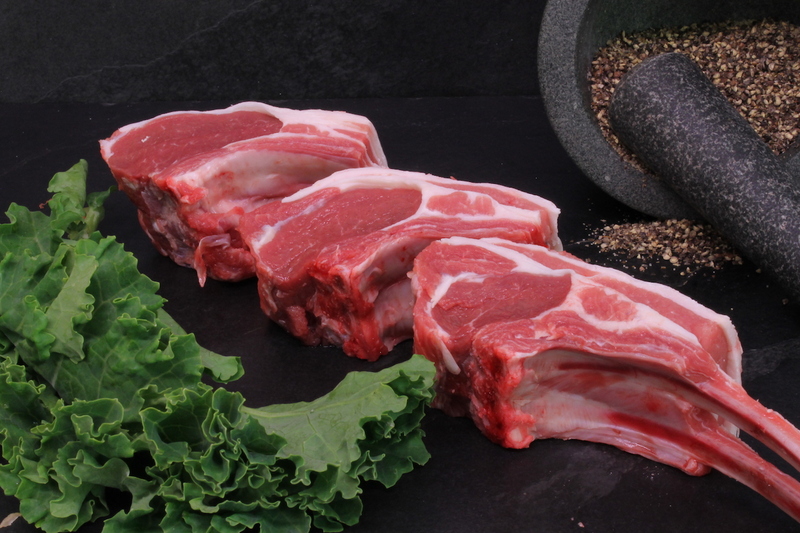 Our Lamb Florentine Loin Chops - or Double Rib Loin Chops as they are sometimes known - are two Lamb French trimmed Ribs per Chop . Cut from the Loin which has been left on the bone and expertly Dry Aged - yielding an extra depth of rich Lamb flavour - and because they are so tender, you can grill them or fry them - but they also work particularly brilliantly on the Barbecue. These Chops typically run about 2 inches. 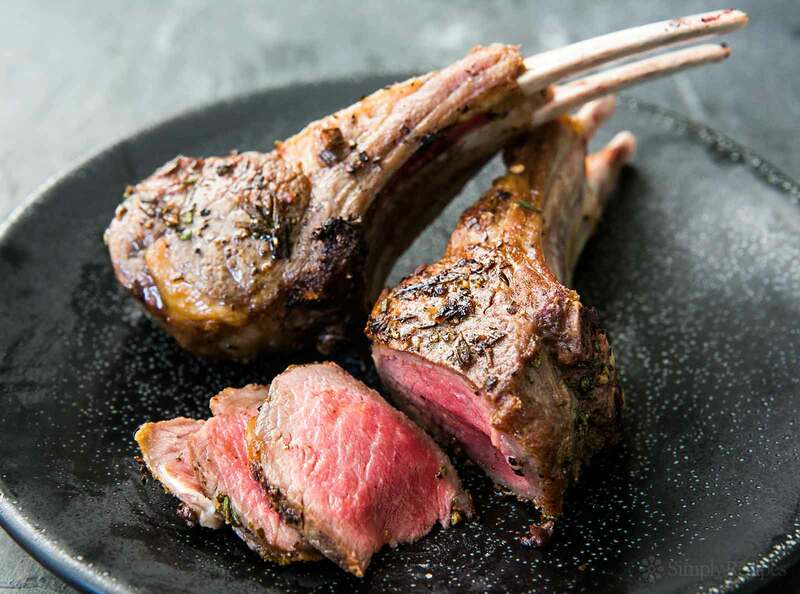 The benefit of using thicker Lamb Chops like these is that they can be more easily cooked to rare or medium rare - while still having a well seared exterior - than thinner Chops. 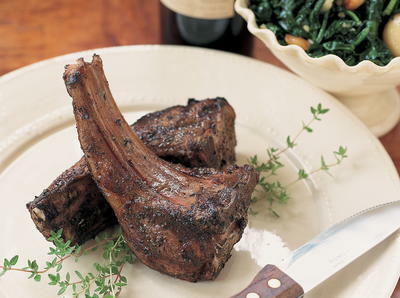 Cooking methods that work well for double-thick Lamb Chops include grilling and pan searing followed by roasting - and ofcourse - the Barbecue. Since double-rib Chops will have a wide, thin layer of top fat, after browning them on both sides, stand the Chops on this fatty side to brown and crisp. Cooking for two? A romantic dinner perhaps? Then this is the recipe for you! Rub with some chopped herbs, garlic, salt and pepper, and olive oil, let sit for a bit, sear all over on high heat, let rest a few minutes, and serve. Preparation time 10 mins - plus 30 mins marinating : Cooking time 10 mins. 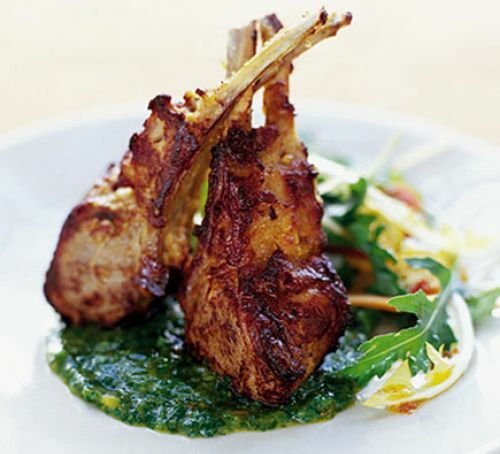 You won’t find Lamb Chops better than these: thick with a very dark exterior, a rosy-red interior, and a savoury flavour that leaves nothing to be desired. So there you have it - Godfreys Lamb Florentine Chops Club Steaks - double the Ribs - which develop and intensifies the already fabulous flavours even further - to produce absolutely mouth watering Dry Aged Lamb perfection!